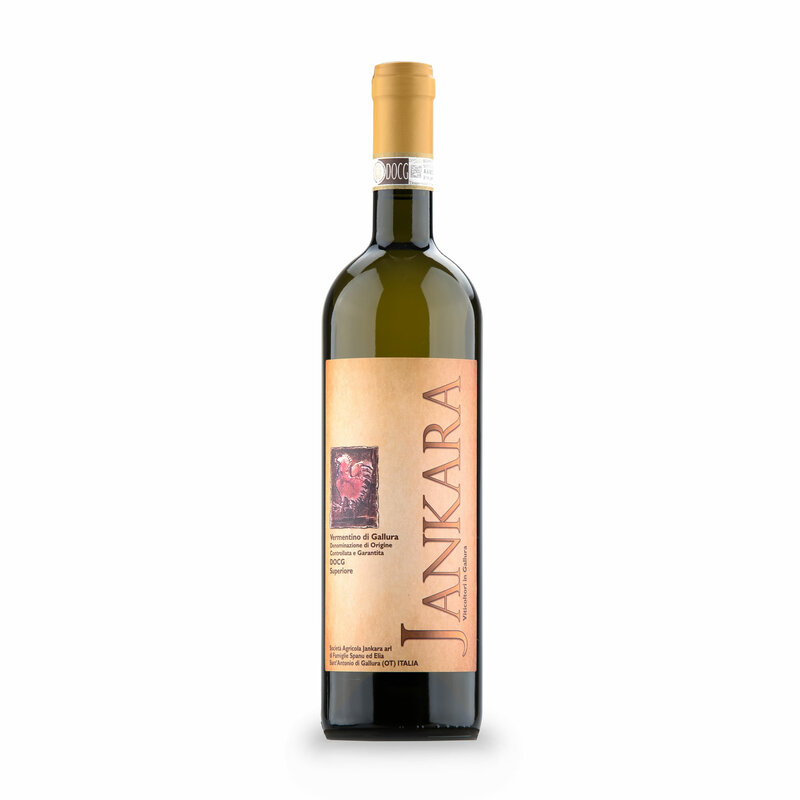 Our Single Vineyard Vermentino di Gallura Superiore “Jankara” is produced entirely by the finest selection of 100% Vermentino grapes grown on our Jankara Estate. This wine represents fully the terroir and passion from which it is born, showcasing a beautiful range of flavors and aromas that are typical to the highlands of Gallura. Here you will find great balance between alcohol, acidity and fruit, as well as aromas of white flowers almonds and a bit of tropical notes that are persistent and captivating to your senses. The Grapes are harvested by hand towards the end of September and the yields are 6 tons per hectare and below. After harvest the grapes are gently pressed and fermented in Stainless steel vats while constantly monitoring and controlling the temperatures of fermentation to further more benefit the formation of intense aromas and complexity in the wine. After 6 months of tank ageing, the wine is then bottled and maintained an additional 2 months before its release. 100% Vermentino vine, which finds its ideal environment in the Vena di San Leonardo: an extraordinary Cru for an outstanding wine. Six heirloom grapes from Gallura: Cannonau, Caricaggiola, Pascale, Dolcetto, Barbera, Cabernet Franc, growing in a 80 years old vineyard.